Set the players up as shown. If more players are available make the circle larger. 2 passes back to 1. 3 passes back to 1. 4 passes back to 1. 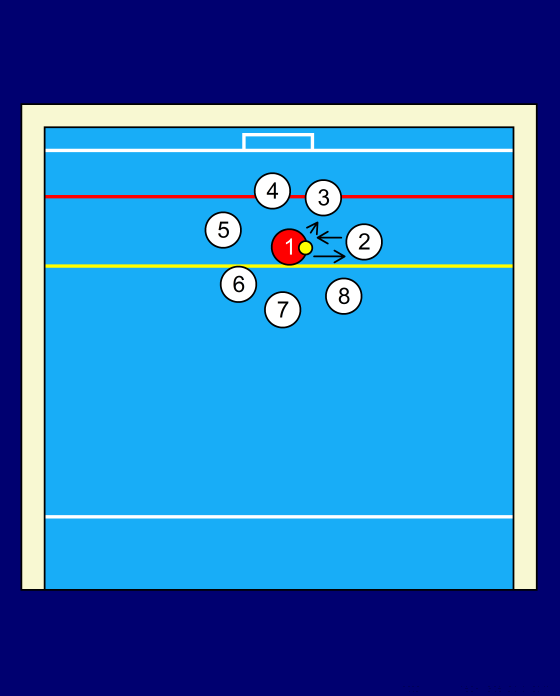 Keep going in this pattern until each player has gotten the ball passed to them by player 1. 8 takes the place of 1 and the play starts again. While the ball is being passed around have the rest of the team pass around a medicine ball to hold over their head for a few seconds.